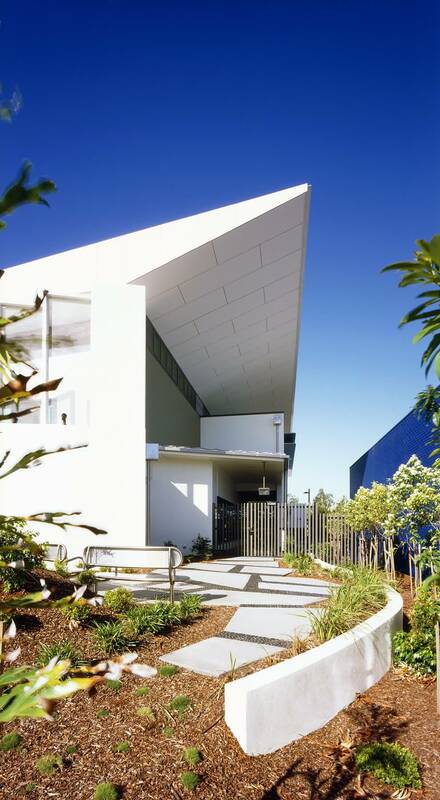 The Caloundra Courthouse and Watch House has become a landmark building within the regional hub of Caloundra. Easily viewed from the main road, the building captures the Department of Justice and the Attorney General’s (DJAG) philosophy of an accessible and transparent justice system. These values were communicated through the design of a prominent and welcoming entry into the courthouse, and the naturally lit, open reception area and courtrooms. 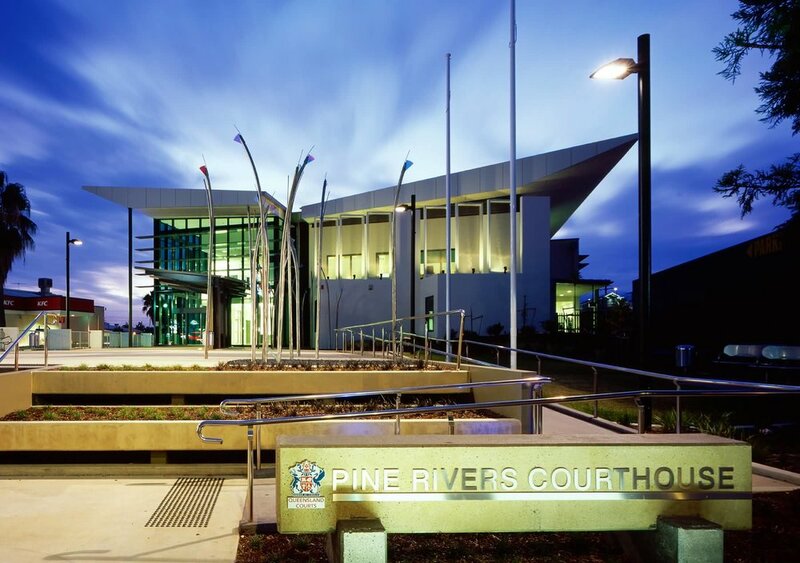 The courthouse consists of the Magistrates Courts and chambers, mediation facilities, registry counters, and spacious public waiting areas that connect to the landscaped grounds. In contrast to the open nature of the courthouse, the watch house turns away from the public and includes cells, holding cells, search rooms, secure officer control areas, and amenities. 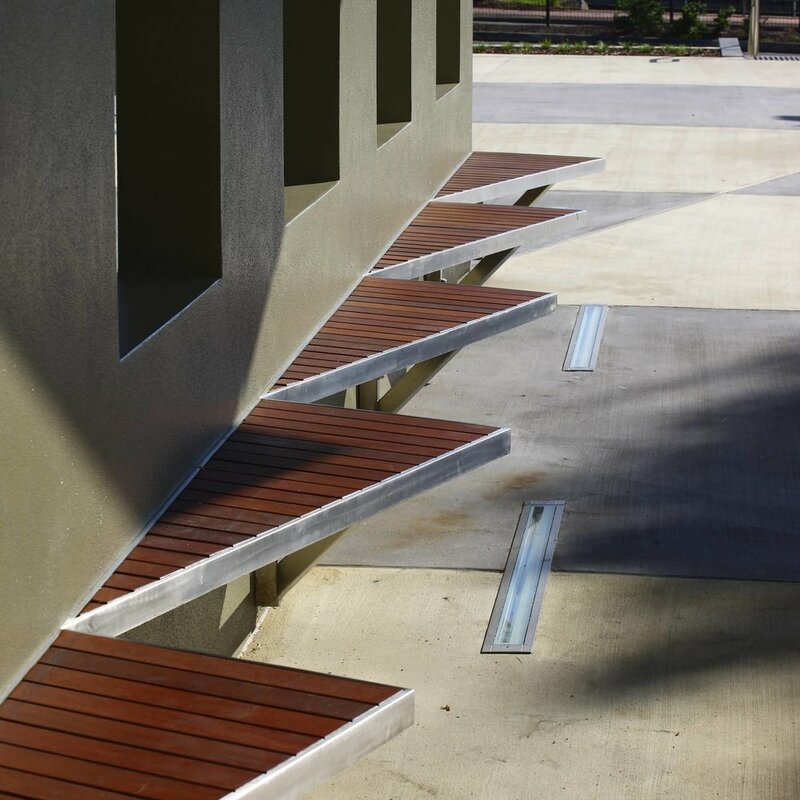 With a strong focus on sustainable design, the building form, materials and detailing were carefully considered. Large roof overhangs, glazing and a variety of sun shading devices minimise the impact of the heat while still filling interiors with natural light. 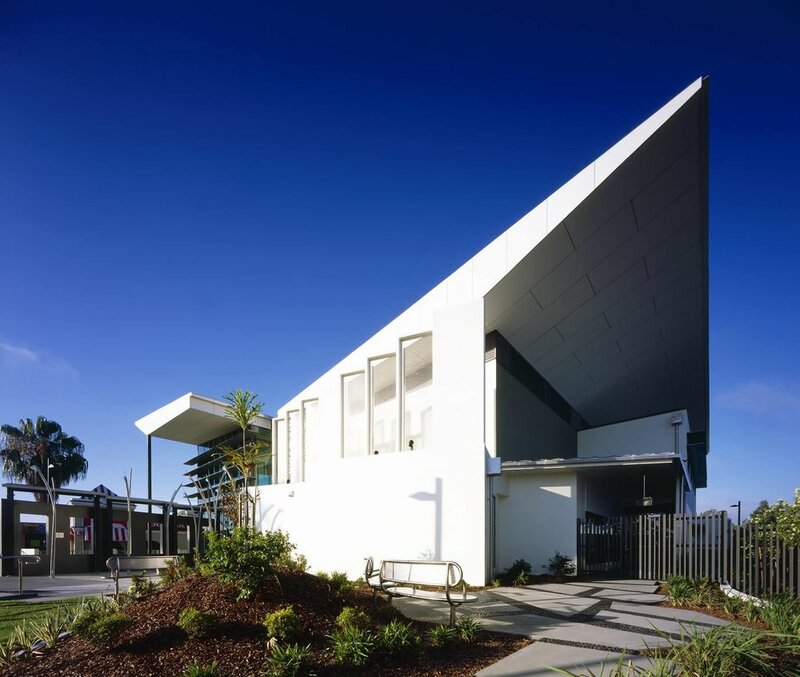 The roof falls to a central box gutter, which discharges onto a kinetic, built-in artwork, symbolising the ‘Arrow of Justice’. This large, pivoting shard collects and dramatically tips the roof rainwater when full into a collection pond below where it is then pumped to storage in tanks and recycled.